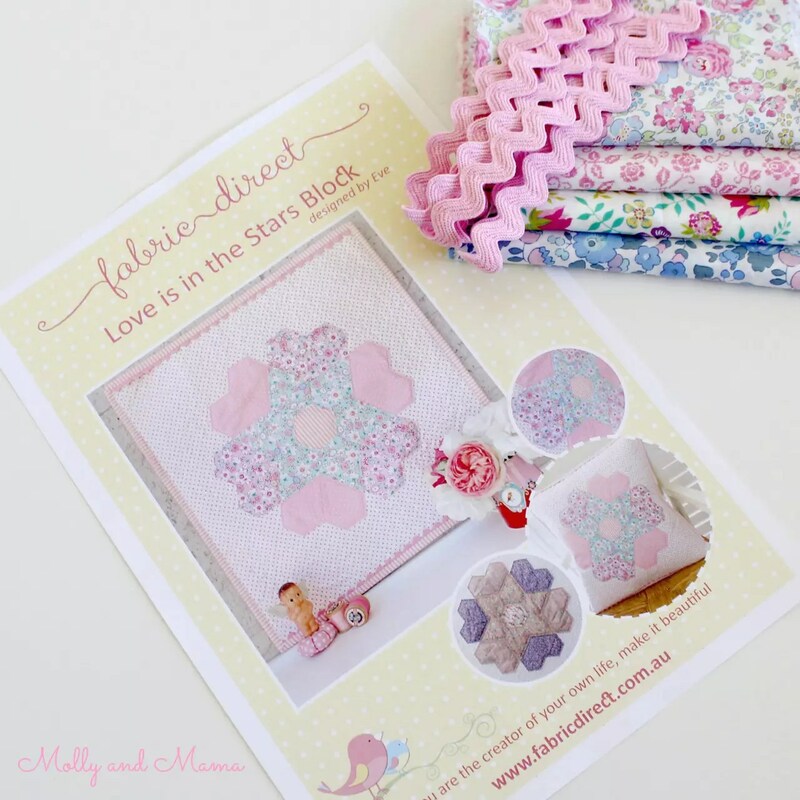 Recently, the lovely Eve from Fabric Direct asked me if I’d be interested in sewing up her latest pattern, the ‘Love is in the Stars’ Block. 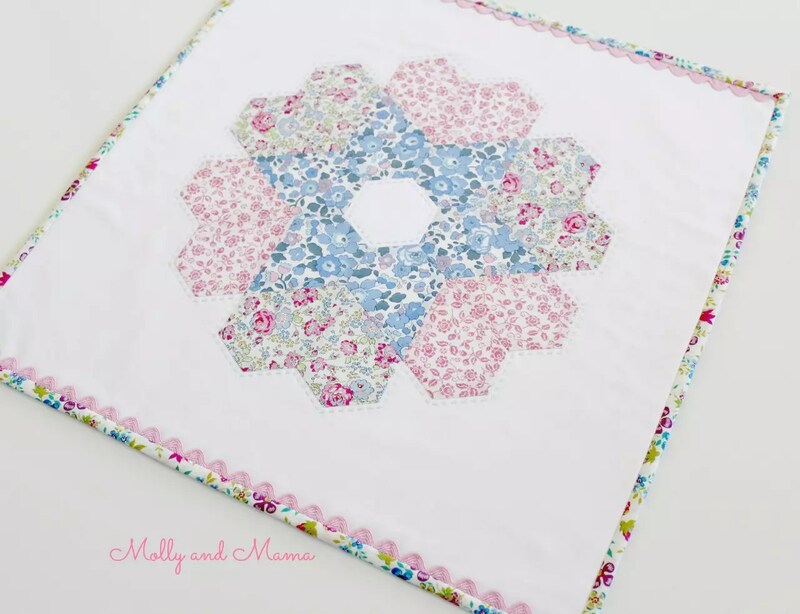 As soon as I saw that it was made with English paper pieced Liberty, I immediately said yes! Eve’s blog post shows you her versions of this lovely design and includes some more details and information, so be sure to go and take a peek. Eve sent me all the supplies I would need to turn this beautiful block design into a generously sized mini quilt. 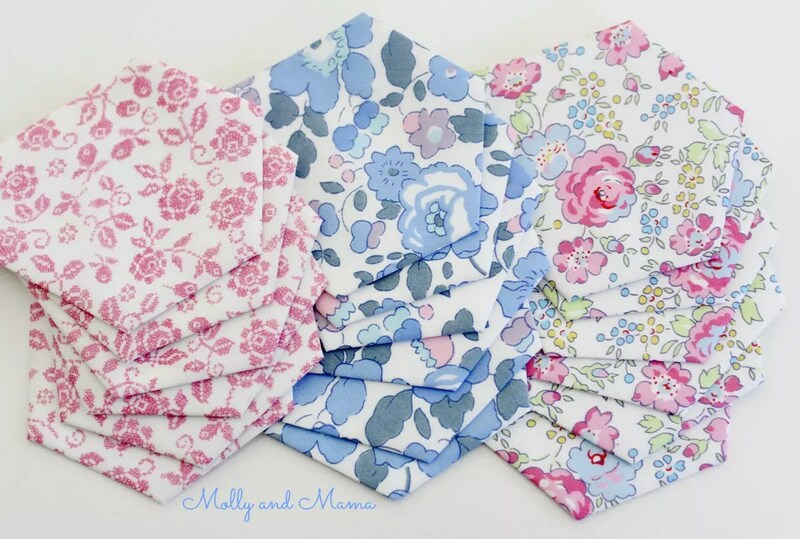 I love the Liberty lawn fabrics she chose and the pink ric rac complemented them perfectly. 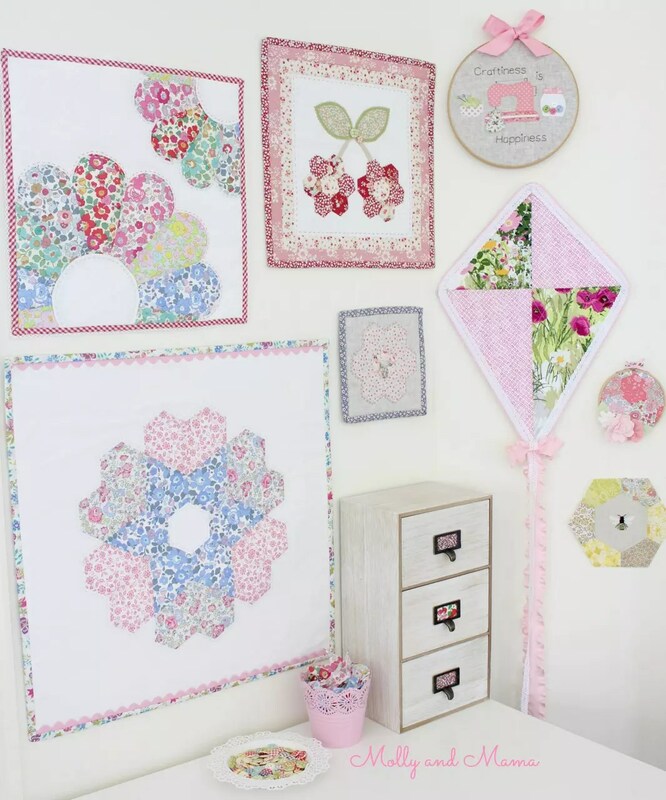 You can find all these supplies including the PDF pattern or kit at FabricDirect.com.au. First I glue basted the English paper pieced tri-hexes or jewels. 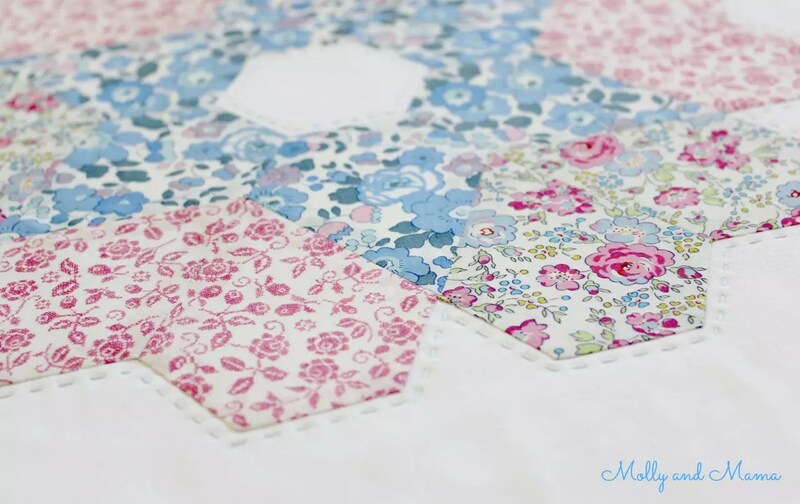 (If you’d like to know more about ‘piecing’, I’ve written a beginner’s tutorial that you might find helpful). Deciding how best to show off these gorgeous prints was the most difficult part of the whole process. Once I settled on an arrangement, I sat down for some ‘slow sewing‘ and hand stitched the block together. Then I appliquéd it to the backing fabric and added some tiny hand quilting stitches using Aurifloss embroidery floss. Hand sewing is so therapeutic! 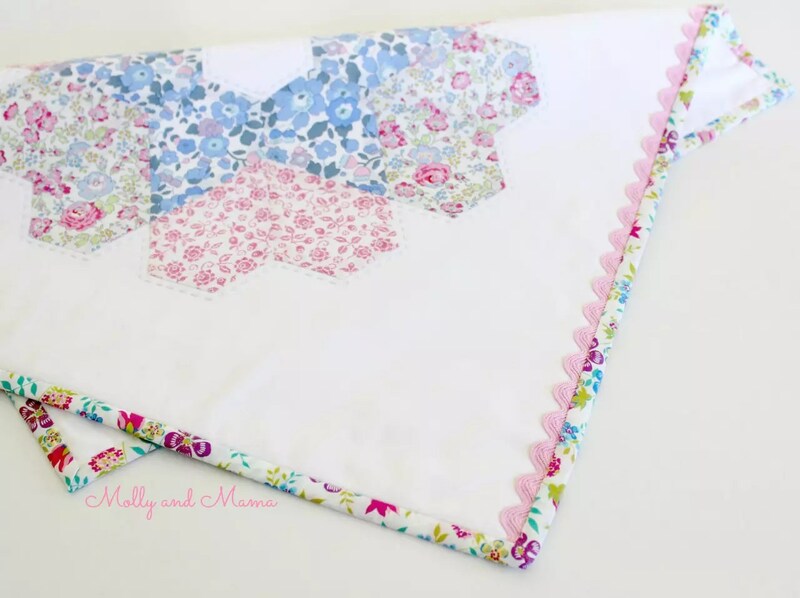 I didn’t want to detract from the beautiful Liberty so I couldn’t bring myself to add any more quilting to this mini design. I bound the quilt edges with handmade Liberty binding and added the ric rac trim that Eve included. I’m so in love with how the quilt turned out. There’s something about the simplicity of it! This mini is already adorning my studio wall. Though I better be careful. My little miss wants to ‘borrow’ it for her dollies. We’ll see! 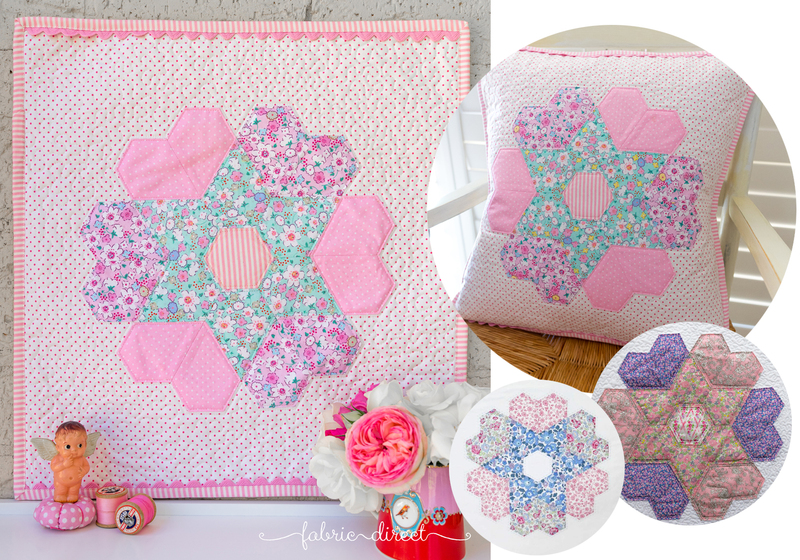 I loved the layout of this pattern, the great step-by-step photos and the clear directions. And I think the overall look is just beautiful. 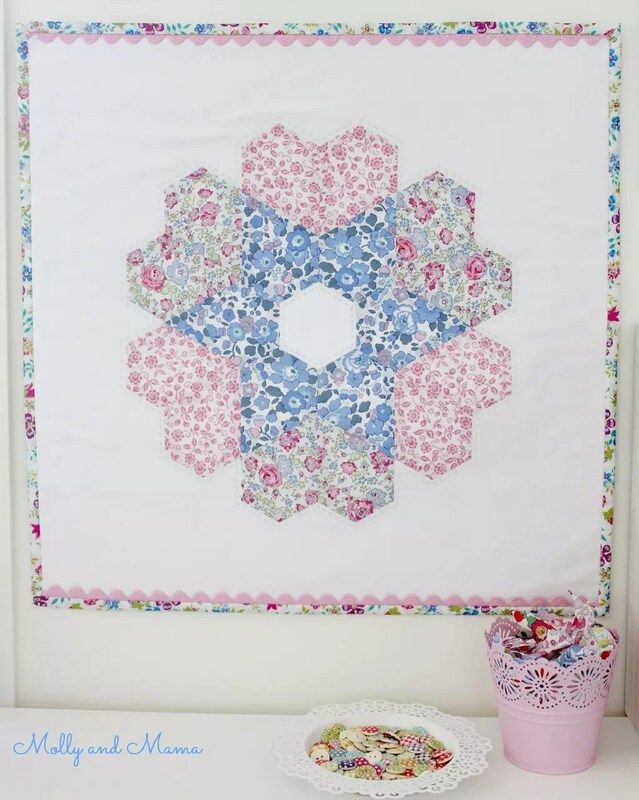 This is a lovely weekend project and a pattern that I’m really pleased to recommend to you! Gorgeous, I love the liberty fabrics she picked for you.